Download the Ekelly produced beat and don't forget to share your thoughts below.. Award-winning Africa diva Yemi Alade releases a brand new single titled “How I Feel”; produced by Egar Boi. Emmanuel Ifeanyichukwu Onukogu aka Kelly Fresh hails from Egbuoma in Oguta Local Government Area of Imo State, Nigeria. Born into the family of late Mr Alexander Onukogu in Nkembo Librevelle Gabon 15th of November 1990. Currently based in Germany, Kelly Fresh is a contemporary rapper, indigenous rapper, singer and song writer, who started his music career in 2013. He is currently signed to MMMY Music. In 2015 he released an introduction single titled Tingele produced by Crepsy-Tune Dubai based producer, mixed and mastered by Twicee. The Tingele song went viral on the internet and now his out with his official single titled Anu Ntanta produced by Tyrone, mixed and mastered by Indomix. Download HERE or Watch Below..
Andrew Odoe is a Producer, Musician and Philanthropist. The Founder of ELEKT Global Foundation and CEO of Valley Top Communications. His New Single “Have Some Sympathy” is a unique and passionate appeal for humanity to Spread the Love. 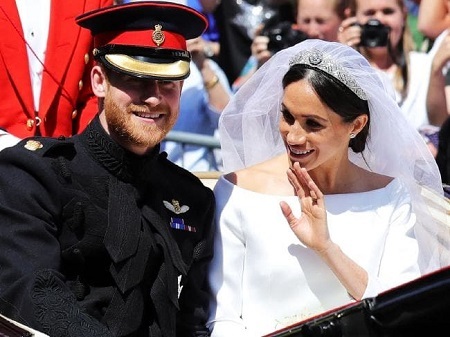 As the couple who appears more in love than ever, count down to their special day, their daily lives already reflect that of a married couple. On May 24, the Science Students crooner shared lovely photos as himself, wife-to-be and son stepped out together. He revealed they were taking their little boy, Batifeori Maximilliano Adedeji, to school. It seems like just yesterday that the singer welcomed his baby boy with his partner. It could be recalled that following the arrest of 12 yahoo boys in Ikoyi area of Lagos on Friday, May 11, serial entrepreneur, Noble Igwe, revealed other money laundering fronts in Lekki area of Lagos and advised the EFCC to make more arrests. Fans are, all the same, waiting for the day they will see their favourote indigenous rapper walk down the aisle. From Kiss Daniel to ‘Kizz Daniel’, Is Anything Wrong? 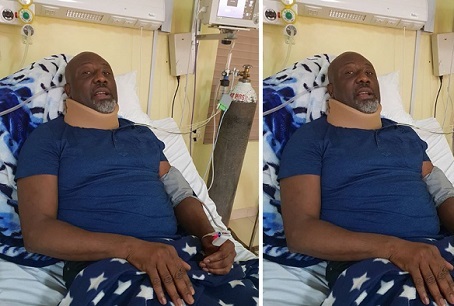 It was rumoured during the week that YEBA crooner, Oluwatobiloba Anidugbe has finally succumbed to the pressure from his former record label G-worldwide to drop his stage name. Following the feud, Tobi who is popularly known as Kiss Daniel has changed his stage name on all platforms after his former label insisted that he must desist from using the name. But WG checks revealed that the pop singer is still retaining the name on his Instagram pages. The embattled singer had argued before now that it would be like telling him to stop answering his name since his name is Daniel. However, his new stage name, Kizz Daniel, slight variant from his former name, is yet to reflect on his social media handles. And the talented singer has not commented or refuted the rumour that is spreading like a wild fire. But what’s wrong with the name?. According to a Facebook user 'Prince Abidogun' . 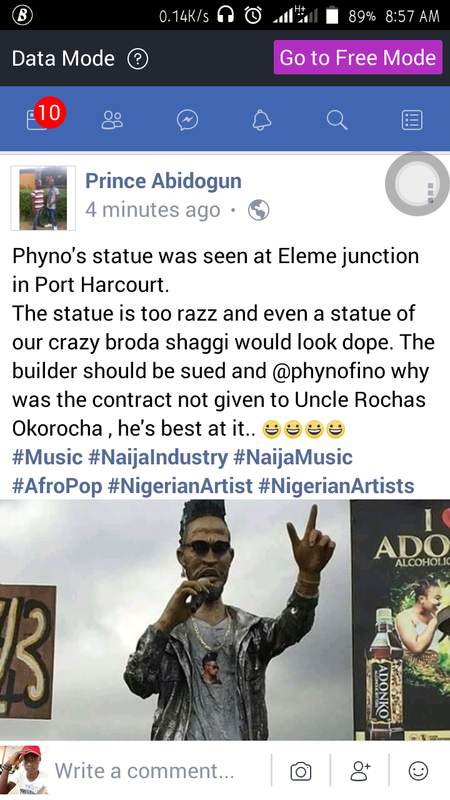 He revealed the statue was seen at Eleme Junction in Port Harcourt..
See his post and full picture of the Statue below..
Summer Time is around the corner and Shakar EL is giving us the perfect Jam for this season titled Shaka Shaka. The King of Orishirishi Sounds, Shakar Nwa Mama goes for an uptempo beat produced by Otyno. Someone once said, that, rock bottom is good solid ground and a dead-end street is just a place to turn around. In the last few weeks, I have been taken to the good solid ground at the rock bottom and they couldn’t go further. I have been brought to the dead-end street but with you standing by my side, I have turned around and bounced back to the chagrin of those who sought to seal my lips from speaking out against tyranny, politics of oppression and blackmail. They, unleashed an endless barrage of physical, psychological, metaphysical and emotional torture and assault on me, but, through the power of the Most High, and you the good people of Nigeria, we have once again, seen the triumph of truth over lies and good over evil. 2. It was Edmund Burke who was quoted as saying that when bad men combine, the good must associate; else they will fall one by one, … in a contemptible struggle. I am of all men, a blessed man, to have courageous and dependable people like you as my fellow soldiers in the struggle to free us from the shackles of political strongholds and tyranny. It is to you and my most wonderful and ever knowledgeable people of Kogi State, especially Kogi West, that I owe my deepest gratitude. You stood by me against the state and your own ‘best political self-interest’. 3. The state unleashed its raw power on me and released a 200 man-strong fully armed policemen - on a man without a knife nor a bullet. It did this because I called injustice by its name and called for accountability. For this they sought to break my spirit and destroy me permanently. In their moment of reign, I was fully shackled. With my hands tied to my back, and hurled into a dark solitary confinement waiting for the butchers knife, you, my people stood by me. You came against a raging fire and stood up against tyranny, lies, filthy lucre, injustice, persecution and greed. While in the dark and unable to fight for myself, they sought to take my mandate, which you had freely given to me. But you answered back and quenched deceit in its wake. You stood resolute and unflinching and defended your mandate to me. I thank you from the bottom of my heart. In their attempt to break me, they have made me stronger. 4. To you my indefatigable leaders; my irremovable President of the Senate, a man of immeasurable vision for Nigeria and true fighter for the enthronement of true democracy and the rule of law, Sen. (Dr.) Abubakar Bukola Saraki. The fearless Speaker of the House of Representatives, Rt. Hon. Yakubu Dogara, I thank you both for your steadfastness in the defence of the Nigerian Constitution and the enthronement of the Rule of Law, justice and equity and the emasculation of anti-democratic forces and tyranny everywhere in Nigeria. I am eternally grateful to you. 5. To the entire National Assembly Membership, especially my colleagues in the Senate, I am eternally indebted to you for not playing politics but standing courageously against oppression and terror. You have shown yourself leaders on whom Nigeria’s hope for tomorrow can be assured. 7. Our ever foresighted and courageous civil society leadership, the media, leaders of thought across the country, our hard-working youth for whom I will give my last blood, our loving mothers and sisters, I lack words to express to you my profound gratitude for the unbreakable chord of love that binds me to you through thick and thin. You have strengthened my resolve and hardened my flesh against those who seek to devour and make meat of me. You have once again proven to me the axiom in the saying that “in prosperity, our friends know us; in adversity, we know our friends." I am very grateful. For your sake, I remain unbowed. 8. I know many of you worry about my safety and life in this new dispensation where life is no longer sacred in Nigeria. But do not be troubled. My bond of love for you, my good people, makes it impossible for me to consider my self-risk, safety, comfort or opportunity in my unflinching commitment to stand up for you, to stand up for truth and if necessary die for the truth and the emancipation of our people from the chains of poverty and oppression. Though they raise spurious allegations against me, bear false witness against me, though they seek to frighten me and lure me into their bounty of evil, I will fear no foe. 9. Yes, my traducers and torturers wish that I keep quiet; though they seek to seal my lips, to silence my voice forever, I remain ever more resolute and committed. I am committed to this cause for which I am a politician; the cause of the down trodden, to speak truth to power and stand against oppression and injustice. On these issues there will be no compromise. I owe no apologies and I tender none. 11. To my people, I promise you this and this only. I have taken my position, I will not hold back, I will not hold my peace, I will not be shut down, neither will I shut-up, not as long as injustice and falsehood continues to reign, as long as I will live, I will not bow to Baal. 12. May the Almighty continue to keep you all and be your bulwark until victory is assured. Once again, I thank you all so much. 14. God bless the Federal Republic of Nigeria. For 61 years, a Northland couple lived happily ever after together. The pair were inseparable. Even in death. Peter and Ruth Bedford both died on Monday, May 14, nine hours apart from each other, one year past their 60th anniversary. "It's good they went together," daughter Caroline Bedford said. "They would have been completely lost without each other." Bedford said her father was admitted to hospital on Saturday evening. "I think Mum decided he wasn't coming back," she said. "She died at 10am on Monday morning and I got a message to Dad. He followed her about nine hours later," she said. Peter and Ruth Bedford, 86 and 83, were married on December 30, 1957. Peter had emigrated to New Zealand, as a "10 pound pom", where he fell in love with Ruth, from Wellington. He was a rural man and a deep thinker, she eventually became a law clerk. But the pair were perfect for each other, Bedford said. The couple loved tramping together, music, and going to concerts. "Mum had a philosophical, intellectual brain and she loved to debate. And Dad was a big thinker too." "They loved animals and they loved their garden," Caroline Bedford said. "They should have entered them into competition they were so good." 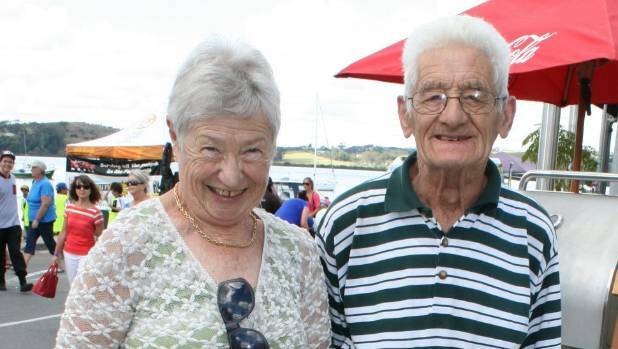 The couple were well known in the Kaikohe community where they had lived since 1980, and were heavily involved in the A&P Show. Before then, the Bedford family had been raised in rural Manawatu. Caroline remembered growing up with sheep, cows, horses, possums, magpies, white rats, cats and a dog. "They were very rural people. Well, Dad was. Mum liked the arts and socialising," she said. "They were both fiercely independent. But very kind and helpful, especially in their community. The couple are survived by their three children Michael, Simon and Caroline, and two grandchildren. "They were very proud of their children and their grandchildren, I know that," she said. Caroline said her daughter Cadence, 31, had said: "My Grandad didn't speak much, but when he spoke people listened." Their funeral is on Wednesday at Squire Funeral Services in Kaikohe. 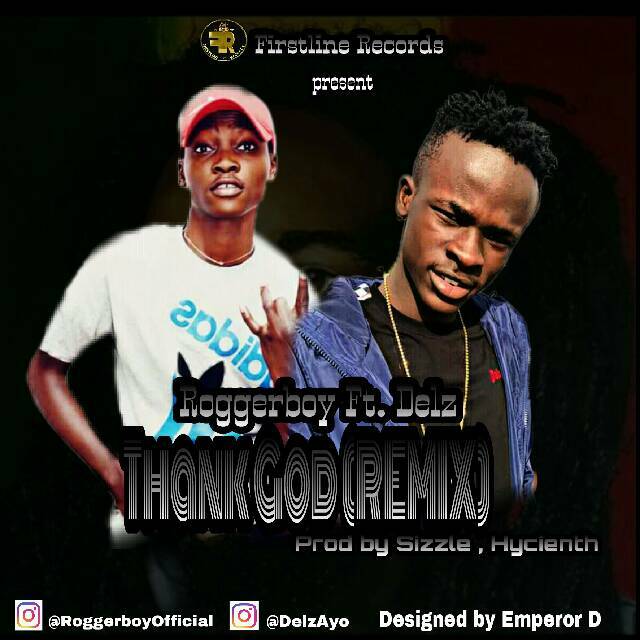 After much Anticipations , Olagunju micheal Olalekan Popularly known As "Roggerboy" Finally Bursts out with The Remix of the Single He Dropped last year Titled "Thank God" Featuring The new signed artist Oritsefemi record label (MSN Gang), Well known as "Delz"
This song was produced by Sizzle ,The official Producer of Firstline Records Owned by Singer Roggerboy. Without any doubt, Debe will buzz on many Playlist from now. According to Tooexclusive. Sometimes things don’t work out how you expect them to and no one knows this more than artistes. From break ups to grammatical blunders, the challenges come but the true test of character is in their ability to make the best of the situation. Below are five (5) famous Nigerian artistes who succeeded in turning their blooper moments into rounds of applause. 1. Seyi Shay – Starting off the list is none other than the Electric Package herself. After infamously saying that an “EP” means electric package in an interview on HipTV, Seyi became the troll target of Nigerian social media. Although she took hit after hit, the musician did not allow the jesting to get to her. What did she do? She came out with a remarkable extended play and guess what she called it? Yep! Electric Package. I can’t think of many better ways to turn around misfortune than that. 2. Burna Boy – Oluwaburna is no stranger to controversy but what he seems to be more familiar with, however, is thriving from them. Following his alleged assault and robbery of fellow artiste, Mr. 2Kay, Burna Boy released one of his strongest bodies of work yet and garnered international recognition. The Heaven’s Gate singer could have been held back by his troubles with the law, but instead, he spinned the situation around nicely and hit his stride. 3. Davido – OBO as he calls himself is actually a Starboy when it comes to turning controversy around for good. From the whole Tagbo incident to his beef with Wizzy and the debt allegation leveled against, Davido is never too far from controversy but he continues to rise above the ashes of his many challenges. The ‘billionaire’ singer has faced enough controversies to make him pack his tools and call it quits but he has mastered the art of making sweet success out of life’s incidents. 4. Olamide – Before people started feeling some type of way about it, Science Student by Olamide was on its way to becoming the anthem of the Shaku Shaku epoch. A number of tweets by online activists later, people started to call Olamide out for promoting drug use among the youth and asking for the song to be banned. An obvious P.R. nightmare, Olamide did not allow the backlash to get to him. What did he do? He turned it out around and started a campaign to educated the youth on the effects of drugs in their system. 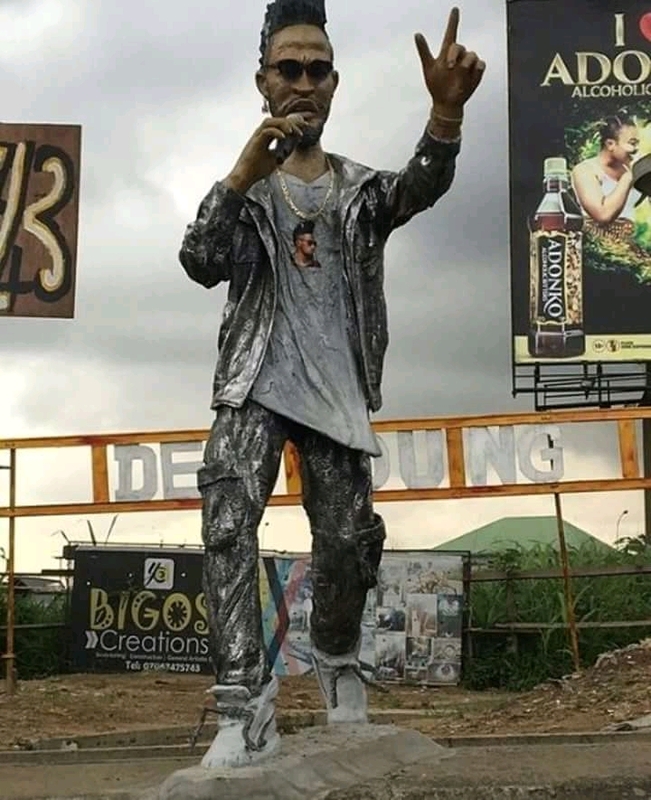 Using a press run and a Micheal Jackson tribute music video as his strategy, Olamide was able to get the public to let go of his neck which they had earlier threatened to yank off. Now, everyone has moved on and are jamming to ‘Kosewe Kosegbo’ in peace. 5. Skales – Perhaps no other Nigerian celebrity has been a regular victim of trolling as much as Skales. Way before trolls used to haunt him on social media, Skales was signed along Starboy to a record label called EME and after a while, he got dropped. Everyone thought Skales’ career was over but the resilient artiste rose up like a phoenix from the ashes with the super hit, Shake Body. His career continued to soar and reach new milestones after that, proving that it really is never over until you stop fighting. Know of any other artistes that came out tops after a nasty public f*ck-up? Please share in the comment section below. Philomena is a followup to the chart topping hit song "Once Upon a time" featuring Patoranking. The song was produced by Jay Nunny. 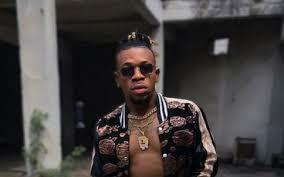 Street hop crooner ‘Legbegbe’ Mr. Real, has told Saturday Beats that the road to stardom has not been rosy. He revealed that his family members advised him against pursuing a career in music. He said, “I have been doing music for over 10 years now. But you know in life when it is not your time, there is nothing you can do about it. All this while, I have been working and waiting on God for a breakthrough. Once God says it is your time to shine, no man on earth can stop you from shining. Before my song, ‘Legbegbe,’ I was only doing free shows. But it is a different story now. When I was not making money from music and things looked stagnant, my father wanted me to try other things. It was a serious issue at home. I cannot blame my father because he wanted the best for me; I am his first child. But I insisted that it was music or nothing. It was not easy to stay focused as I got frustrated by my family members. At a time, I stopped visiting family members because they were always advising me to find something better. “My father is no more; he died last year. I feel bad that he is not alive to see my growth in the music industry, but I am certain he would be happy for me. My mother died years ago too. But I have six younger siblings to look after. Though my parents are dead, other family members, who wanted me to quit music, can at least see that my consistency has finally paid off. Once you believe in yourself, the sky is your limit and nothing can stop you,” he said. 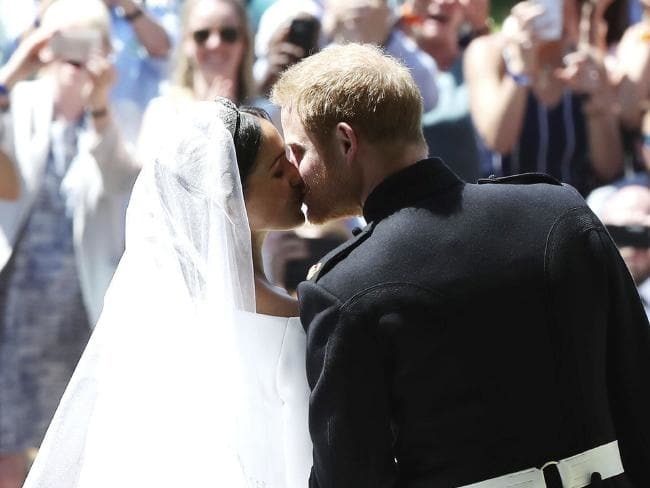 Meghan Markle and prince harry are now married. 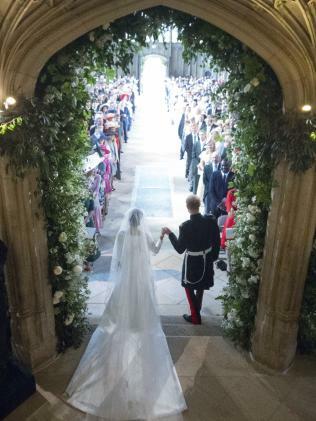 Meghan walked down the aisle of the 15th Century chapel in Windsor Castle where she married Prince Harry in a dazzling display of British pomp and pageantry. 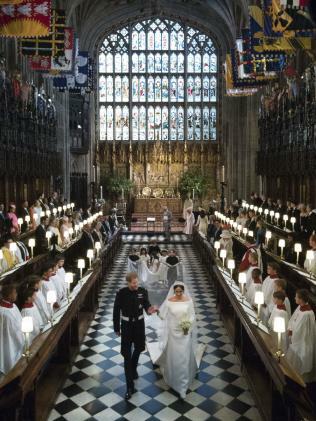 After entering St George’s Chapel unescorted, Markle she made her way towards the Quire, halfway down the church where Prince Charles walked her to his son, Harry. White roses, favourite flowers of Harry’s late mother Princess Diana, adorned the chapel. 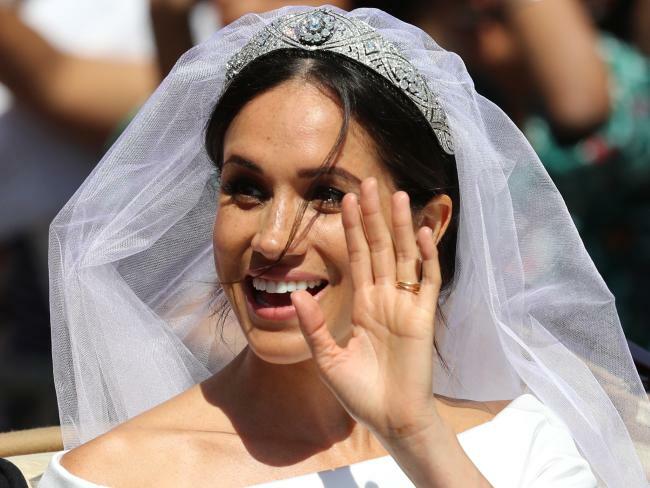 Markle’s mother, Doria Ragland, 61, appeared tearful. 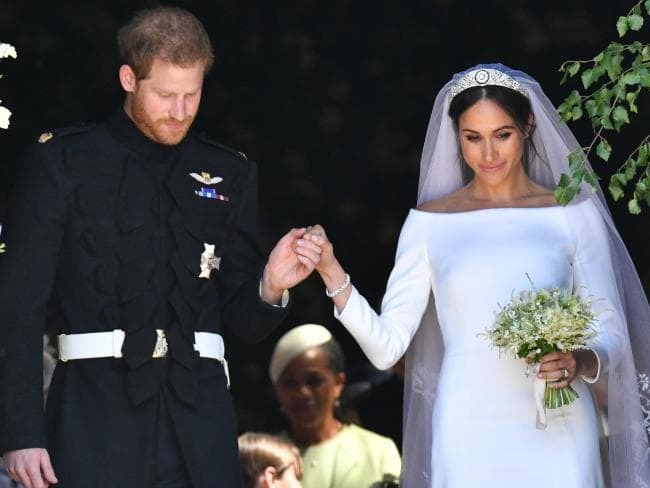 Hours before, Queen Elizabeth bestowed the title of Duke of Sussex on her grandson, a step that means the American actress, star of the TV drama “Suits”, automatically becomes a duchess. More photos from the wedding below.. 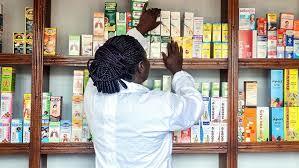 The Nigeria Pharmacists Council has started recalling cough syrups containing codeine from its stakeholders in compliance with Federal Government directive. The Registrar of PCN, Elijah Mohammed, revealed this in an interview with the News Agency of Nigeria (NAN) today in Abuja. NAN recalls that the Minister of Health, Prof. Isaac Adewole, had directed PCN, NAFDAC and other regulatory bodies to supervise the recall of codeine from the market. Mohammed reaffirmed that codeine is an opioid drug similar to morphine which has been approved and accessed over the counter in low doses for relieving patients of symptoms associated with a dry cough. According to the registrar, codeine in such preparation, usually in smaller doses, serves as a cough suppressant and relieves pain associated with the stress of coughing. “However, due to its inherent properties when used in high doses over a long period, it has been associated with dependence and powerful addictive propensity especially when used for recreational purpose,’’ the registrar said. Mohammed noted that the council in view of the ministerial directive has carried out enforcement exercise in Ogun, Sokoto and Nasarawa States, adding that same activity is currently going on in Adamawa. The registrar noted that the council has met with the leadership of the National Association of Patent and Proprietary Medicines Vendors (PPNVs), among other stakeholders, in the pharmaceutical industry in order to facilitate the recall. Mohammed, who emphasised that Codeine-containing cough preparation was not included in the approved medicines list of PPMVs, however, urged them to desist from the sales of codeine and other unethical drugs in order to guard against sanctions. 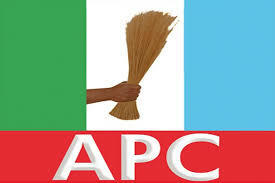 Alhaji Tunde Balogun has emerged the chairman of the All Progressives Congress (APC) in Lagos. The Chairman of APC Congress Committee in the state, Senator Uche Ekwuenife, has earlier said there would be no voting during the exercise. Thus the new executives were picked based on affirmation by the delegates.